One of the biggest ways ego gets in the way is in the perceived appearance of your website. It’s easy to look at a website and redesign it simply because you don’t like the layout or because your competitor has a nicer site. Redesigning a website can cost thousands of dollars and can actually lower conversion rates. Appearance is subjective and investing thousands of dollars just for the sake of making it look pretty can be a big waste of time and money. Some of the ugliest and simplest looking websites in the world make millions. Two that come to mind right away are Plentyoffish and Craigslist. Remember, if it’s not broken then don’t fix it. The only time you should be redesigning your website is to fix glaring issues or to add functionality and features that your customers are requesting. You can do this by getting feedback and then adding it all up to make an informed decision. When introducing new designs and features it’s vitally important to split test your old design against your new design to see which performs better. Jumping on every new technology and trend is not always the best business decision but this happens every day. Companies want a twitter account, facebook page, pinterest, youtube channel, instagram and whatever else is trending. Mostly this is done to appear cool, hip and ahead of the curve. There is nothing wrong with having a facebook page or youtube channel. These types of things can build your brand, engage users and of course they can result in additional sales. The problem lies in how much time and money is spent on these activities versus what kind return on investment they provide. For example, a company can spend months building up their twitter following but ultimately this might lead to only 1 or 2 extra sales. The same time could have been spent on a few decent email promotions that could have led to 100 sales. Always ask yourself if you’re chasing new trends and technologies just for the sake of appearing cool and ahead of the curve, as opposed to focusing on activities that are more likely to drive additional revenue and profit. Ranking highly for your different terms is important but getting obsessed with top rankings or outranking your competitor just for the sake of being “better” is not. The problem with the “I want to be number 1″ approach is that not all keywords are the same. Not only do you have to consider the volume and difficulty of ranking each keyword, but more importantly the conversion rate for that keyword. For example, the keyword “digital cameras” will have more volume than the keyword “buy digital cameras online” however, it’s pretty clear that someone typing in the second term is much further in the buying cycle and is likely to have a higher conversion rate. The second term will also be less difficult to rank as there are less sites competing directly for that term. To illustrate the example of conversion rates, the term “digital cameras” on average may require 100 visitors for every purchase made, whereas, the term “buy digital cameras online” may only require 10 visitors before a purchase in made. From this example you can see why it makes more sense to target the second term, especially when the second term is easier to rank. Don’t let your ego get in the way of doing proper research. Target keywords that are both easy to rank and are likely to convert. Remember, you are in the business of making money and you should always consider the return on investment on all your activities. Sometimes it’s easy to stray from this basic principle and doing so can result in a lot of wasted effort. 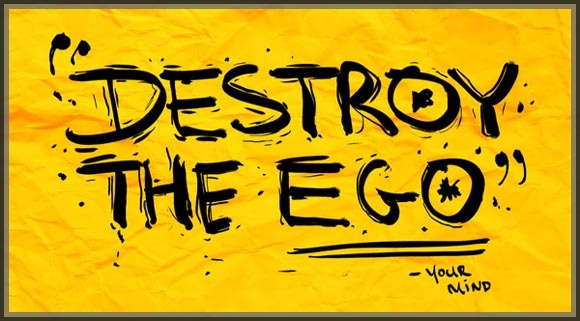 So ask yourself, are you letting your ego make some of the decisions in your online business?